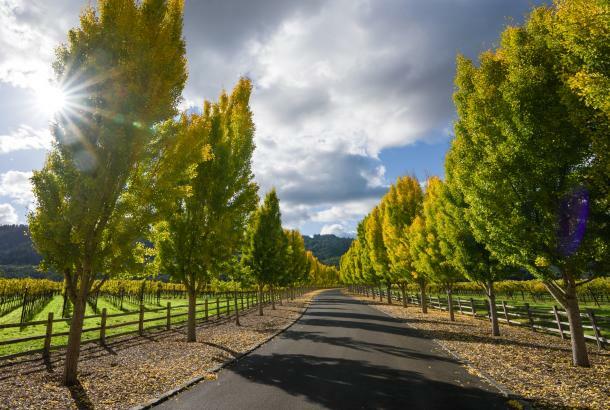 “Are your grapes in yet?” As autumn rolls in, that’s the most common question you’ll hear around the Napa Valley among the legions who work in the wine industry. It’s a month or two of anxious anticipation followed by manic, around-the-clock activity – ending with a collective exhalation and celebration when the harvest is done. And speaking of celebrations, here are 11 options for visitors to join in the annual festival of harvest. Unless otherwise noted, these popular events are only for those aged 21+. They often sell out early so make your reservations soon! Crocker & Starr is hosting its ninth-annual Carnivus Maximus celebration (pictured above), featuring the release of its 2015 Cabernet Sauvignon, Stone Place; library wines and large formats from its cellar; a feast from local purveyors including Hog Island Oyster Co., The Fatted Calf Charcuterie, Pizza Politana, Cafe ZUZU, smoked open-fire cooking, and Paradise Shaved Ice. Live music performed by Sow Belly Trio, as well as games and prizes galore. Sunday, September 2 from noon to 4 pm. $180/person general admission, discounted prices for different levels of wine club members. The CIA at Copia invites the public to come to its second-annual Ciderfest, celebrating another of fall’s favorite fruits – apples. Spend the afternoon enjoying seasonal eats, live music, and local ciders with friends and the whole family. Sunday, September 2 from noon to 4 pm. Prices vary. The Hess Collection is hosting its annual Lion’s Release Dinner. Hosted by fifth-generation Tim and Sabrina Hess and the winemaking team, the memorable evening will include a garden reception and formal dinner by executive chef Chad Hendrickson in the Hess Art Museum. Saturday, September 8 from 6 to 9 pm. General admission is $300/person, Collectors Club Members $240/person, and Top Collectors $225/person. V. Sattui Winery will hold its annual Harvest Ball, where you’ll dine on a multi-course dinner prepared by an Italian-born, Michelin-starred chef and drink award-winning V. Sattui wines. Live music from Michael Jackson tribute show Foreverland. After dinner, you’ll boogie the night away to the funky rhythms of Big City Revue. Saturday, September 15 from 5:30 to 11 pm. $275/person general admission; $250/person for club members. 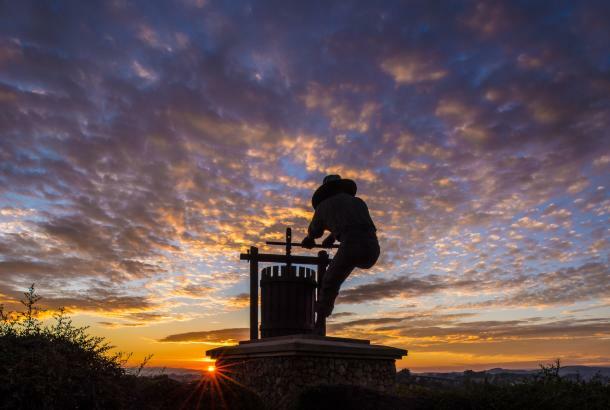 In October, V. Sattui will also host its annual Crush Party, with live music, an old-fashioned grape stomp, a live-fire Tuscan grill and wood-fired pizza ovens, and more than 45 wines to taste. Saturday, October 6 from 6 to 10 pm. $120/person general admission, $98/person for club members. Rutherford Hill Winery will hold its seventh-annual “Barn Bash” release party. 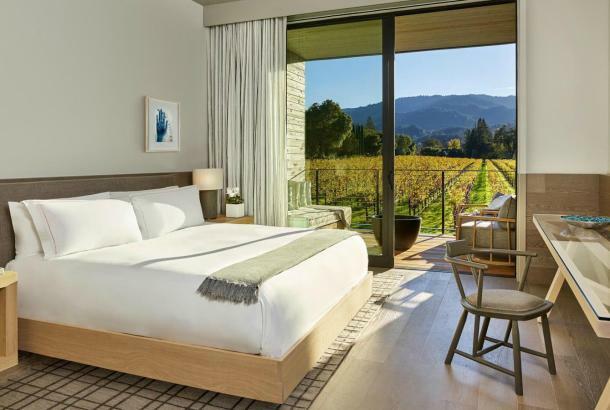 You can enjoy a special selection of Rutherford Hill and Terlato Vineyards wines paired with wood-fired pizzas and authentic barbecue fare, then rock out to live music in the Oak Grove amid stunning views from the hilltop. Sunday, September 16 from 11 am to 2 pm. $75/person general admission, $50/person club members. Quintessa invites visitors to gather in its St. Helena vineyards to toast its 2018 vintage with live music, spectacular wines, and local artisanal food from some of the valley’s great chefs. Limited to just 180 guests, this event always sells out. Saturday, September 22, from noon to 3 pm. $200/person for wine club members, $250/person for non-members. Benessere Vineyards invites you to its Harvest Party and Grape Stomp, with good company, great food, fine wine, live music, and competitive grape-stomping! Local favorite food truck Mark’s the Spot will fire up its wood-fired oven to serve appetizers and lunch that will include Italian-inspired pizzas to pair with Benessere Vineyard wines. There will also be vineyard tours and barrel-sampling with winemaker Matt Reid. Saturday, September 22 from 11 am to 3 pm. General admission $125/person, wine club members $75/person. Tamber Bey is inviting the public to its biggest event of the year, the Fall Harvest and Release Party. You’ll celebrate crush and new vintages of the winery’s five Yountville Appellation red wines with great food, live music, and lots of fanfare. The party kicks off at noon and the fun continues all afternoon. Saturday, October 6 from noon to 5 pm. $55/person general admission, $45/person for club members. 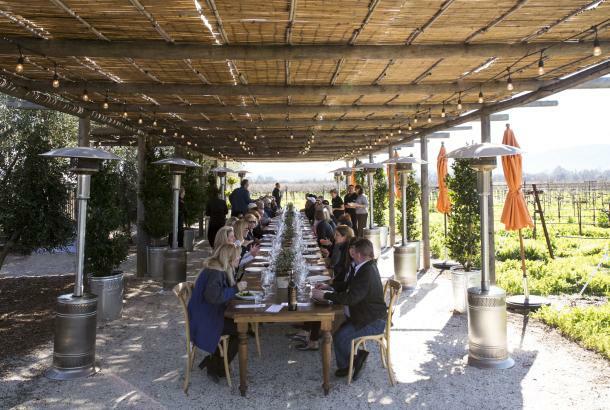 Jamieson Ranch will host a sit-down Harvest Dinner with its winemaker, Linda Trotta, and estate chef, Scott Ekstrom. 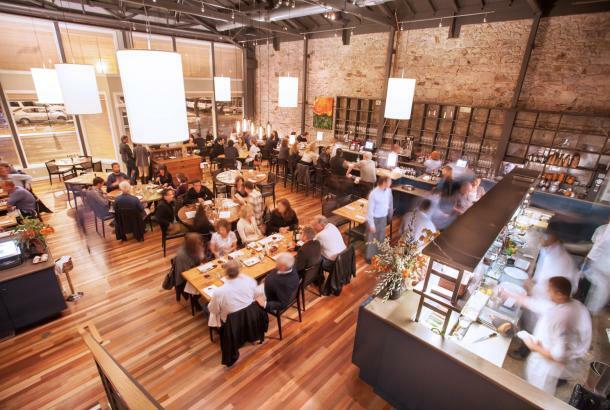 They’ll be pouring some special new-release wines paired with the flavors of fall. Saturday, October 13, from 6 to 9 pm. $125/person general admission; $100/person JRV Wine Club members. Markham Vineyards is hosting its annual Harvest Celebration – extra festive this year as the winery celebrates its 40th year of winemaking. A catered dinner will be served in its historic stone cellar, each course paired with exclusive Markham wines. Saturday, October 20 from 6 to 9 pm. Tickets are currently $140/person, $125/person for 1879 Society members. After September 1, the price increases to $155/person, $140/person for club members. Robert Biale Vineyards will host a Fall Wines Celebration to kick off harvest and launch its fall wines, which will be featured along with small bites. Saturday, August 25 from 1 to 4 pm. $55/person general admission; $40/person wine club members; and free to 5+ Club members. Biale Vineyards will also present an Al Fresco Dinner with its fall wines paired with a delicious dinner prepared by chef Bernardo Ayala. Saturday, September 29 at 6:30 pm. $125/person general admission, $100/person for club members. 8th Annual Mexican-American Vintner&apos;s Association Harvest Festival- For those who love food and wine, this multi-cultural experience is a must. 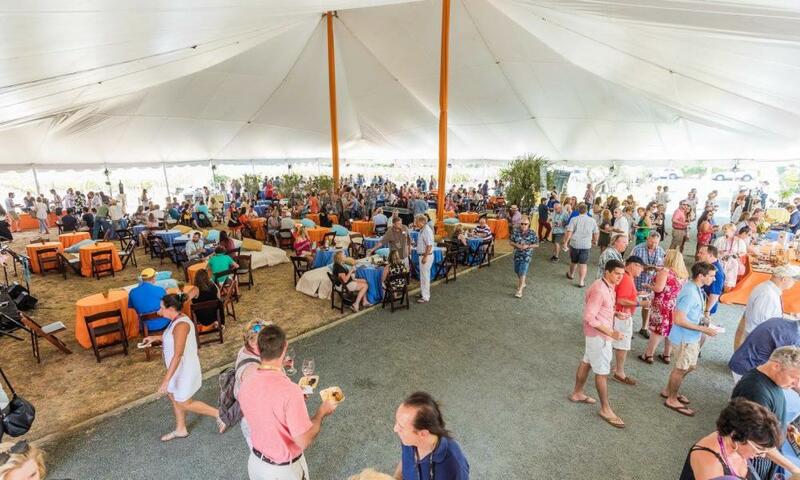 Taste wines from 15 local Latino winemakers, savor food and appetizers by award-winning Latino chefs, and enjoy live music and entertainment with a salsa orchestra, Aztec dancers, and Ballet Folklorico. Saturday, August 18 from 2 pm to 5 pm at Oxbow Commons. Tickets are $100 and $125 after August 1. 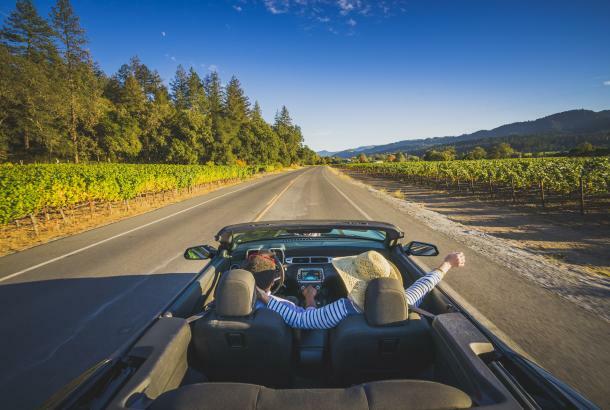 At the end of summer, the Napa Valley comes alive with the excitement of harvest. 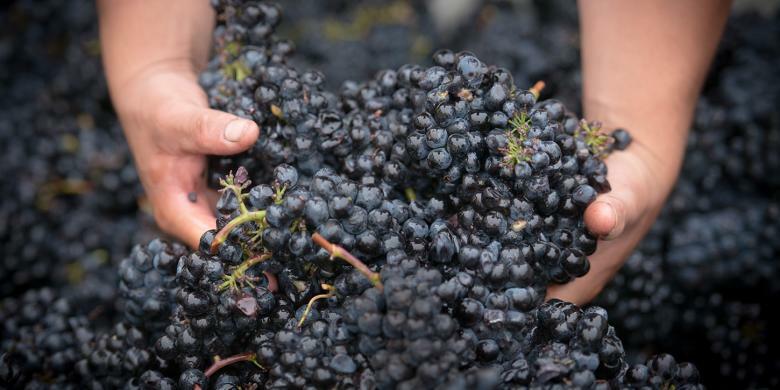 After months of careful nurturing, winemakers finally give the word, "it’s time."